Transcranial magnetic stimulation (TMS) is a form of therapy to help treat symptoms of depression and anxiety. Individuals who suffer from severe depression or anxiety are typically treated through medications and counseling. Some individuals find their symptoms are so severe that they do not respond effectively to medications. In those situations, an individual’s doctor may recommend advanced treatment including TMS therapy. This type of therapy is non-invasive, using powerful magnets to produce positive therapeutic effects on the brain. This therapy is often contrasted with electroconvulsive therapy (ECT). ECT therapy is similar to TMS in that they are both cranial therapies used to treat depression and anxiety. However, ECT is significantly more invasive along with costing more money. TMS therapy typically ranges around $15,000 whereas ECT therapy is approximately $25,000. TMS therapy is more likely covered under your health insurance plan. TMS therapy is performed in a doctor’s office or out-patient facility. People who undergo this type of treatment tend to respond quickly reporting improvements in mood, sleep and energy. Some of the common side effects may include scalp irritation or in more severe cases seizures. Most people do not experience any side effects from this type of treatment. Several clinical trials have concluded TMS therapy does not result in negative effects on memory or concentration. This has often been a concern with ECT treatment. TMS therapy requires multiple treatment sessions. These sessions last approximately 40-50 minutes with results typically being seen within 5 days. This therapy boasts a success rate of 58% with remission rate of 37%. 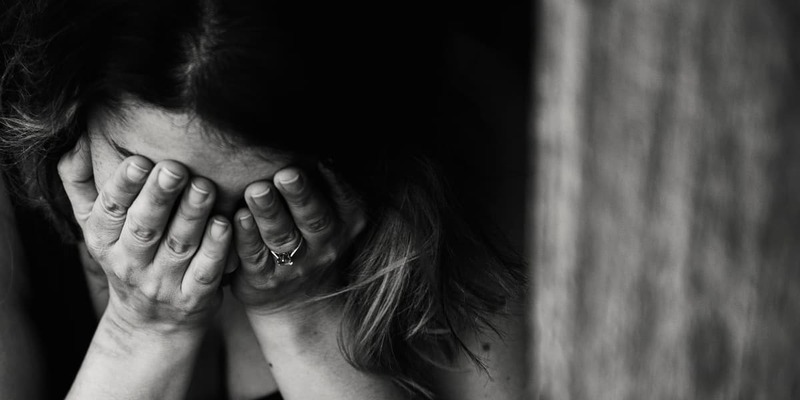 If you have been diagnosed with depression or anxiety, depending upon the severity of your symptoms, you may be eligible for Social Security Disability benefits. Social Security Disability is a form of insurance that is federally mandated. The federal government governs this benefit through the Social Security Administration. To qualify for this mandatory insurance coverage, an individual must pay taxes from their earnings into the Social security system. Once you have paid a certain amount in taxes you will be eligible to apply for disability benefits. Keep in mind, this benefit is not automatic. Simply because you have paid into the system does not mean you may automatically claim and receive these benefits. To receive these benefits, you must meet Social Security’s definition of disability. 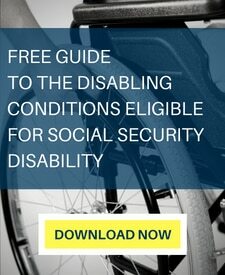 To be found disabled, Social Security requires you to show that you suffer from a severe physical and/or mental condition that affects your ability to earn substantial gainful activity for an expected time frame of 12 months or more. Or, if your condition has been noted to be terminal you will be found disabled. 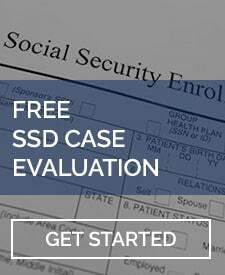 Social Security reviews claims for disability benefits using a five-step sequential evaluation process. This means, they evaluate each step in order. The first step is determining if you are currently working. If you are working, earning over substantial gainful activity, you will be automatically ineligible for the program. Substantial gainful activity is the amount an individual earns per month through working income. If the amount you are earning is over approximately $1,100 per month you are not eligible for disability benefits. However, if your working income is less than substantial gainful activity (SGA), or non-existent, you will be able to proceed to step two of the evaluation. Step 2 considers whether you suffer from a severe physical or mental impairment. The severity threshold is quite low, requiring a showing of more than a minimal impact upon your ability to work. In terms of a stroke, as long as you continue to experience symptoms or limitations you will likely pass this stage as well. The third step in the analysis considers whether you meet or equal one of social security’s listed impairments. SSA has a list of medical conditions which they have deemed to be so severe as to automatically qualify you for disability benefits. To prove you meet or qualify for one of the listings, you must have medical evidence documenting the condition. Social Security evaluates Depression using SSA Listing 12.04 and anxiety using Listing 12.06. These Listings requires a showing of either the A and B criteria or C criteria. The A Criteria differs for each listing, while the B and C criteria remain the same. The A Criteria for Listing 12.04 includes 5 or more symptoms of depression including depressed mood; diminished interest; appetite disturbance; sleep disturbance; psychomotor agitation; decreased energy; feelings of guilt or worthlessness; difficulty concentrating; or thoughts of death or suicide. The A Criteria also includes symptoms related to bipolar disorder requiring a showing of three symptoms: pressured speech; flight of ideas; inflated self-esteem; decreased need for sleep; distractibility; involvement in activities that have a high probability of painful consequences that are not recognized; or increase in goal directed activity. The A criteria for anxiety requires a showing of three symptoms including restlessness; easily fatigue; difficulty concentrating; irritability; muscle tension or sleep disturbance. The B Criteria for these listings require one extreme limitation or two marked limitations in the following areas; understand remember or apply information; interact with others; concentration, persist or maintain pace; and adapt or manage oneself. The C Criteria for these Listings require evidence of medical treatment in a highly structured setting and marginal adjustment. If you are able to prove through medical treatment notes your condition supports this Listing then SSA will approve your case at Step 3. However, this is generally unlikely as the required proof is quite high to meet a listing. If you are found not to meet a listing, then the next consideration would be whether you are able to perform your past relevant work, and if not if there is other work in the national economy in which you could perform. Determining whether you can perform your past relevant work requires a finding of what you are capable of, both physically and mentally. This is called your residual functional capacity. Your RFC will be used to determine if you are capable of your past work. If not, SSA will consider whether there is other work in the national economy which exits in significant numbers in which you could perform. If you are determined unable to perform past work or any other type of work you will be found disabled. If after reading this article about TMS therapy and disability benefits you are even more confused than before you started, do not worry. Applying for disability benefits is a very confusing process. There are multiple requirements and exceptions to the criteria for disability. The best thing you can do in this situation is to seek help from an experienced disability attorney. At the LaBovick Law Group, we provide free consultations to determine if the disability program is right for you. Call us today at (561) 625-8400 for your free evaluation.